Whenever I am photographing the details, of the bride or groom getting ready, I always find that in my style of capturing these images for my clients, no two images are alike. Every bride has a different taste in the the dress, flowers, jewelry, and shoes she wears. As a Hilton Head wedding photographer, this one stands out for me, not your typical shoes, but ones with a bow on them. Very different and unique, more importantly the bride choice. As I was photographing this image I realized that probably by getting done, into my push up position that with the dark wood floor, the angle would work best for this. 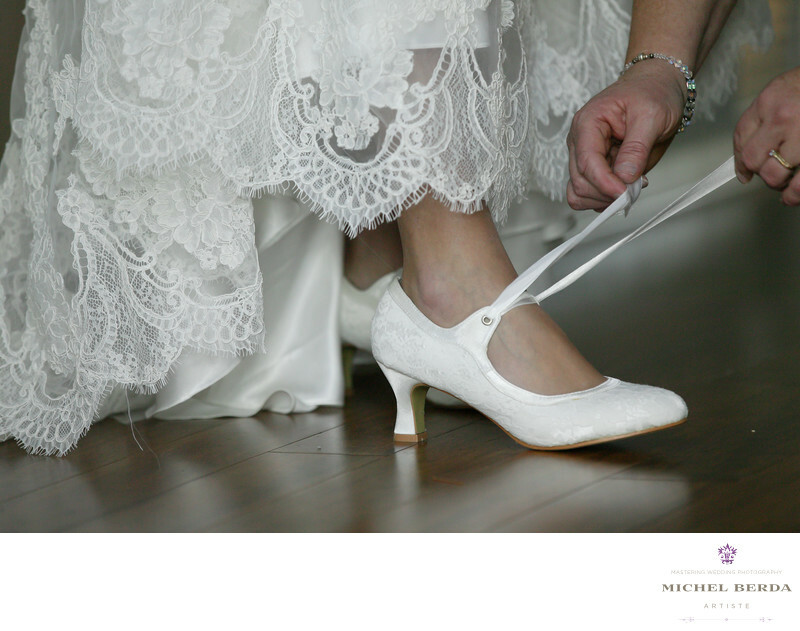 I made sure to leave the brides mom hand in there as it tells the story of only her helping her daughter putting these lovely shoes on. I love this moment and what it represent, always well lit and composed to give your clients back images that will represent their day.Keywords: Destination Wedding Photographer (117), Hilton Head Wedding Photograph (3), sc (309), Sea Pines Hilton Head Sc (21), Sea Pines in HHI Weddings (21), Sea Pines Resort Wedding in Hilton Head Sc (21), Wedding photographer In Hilton Head (66), Wedding Photographers (198), Wedding Photography (123), Weddings (168).